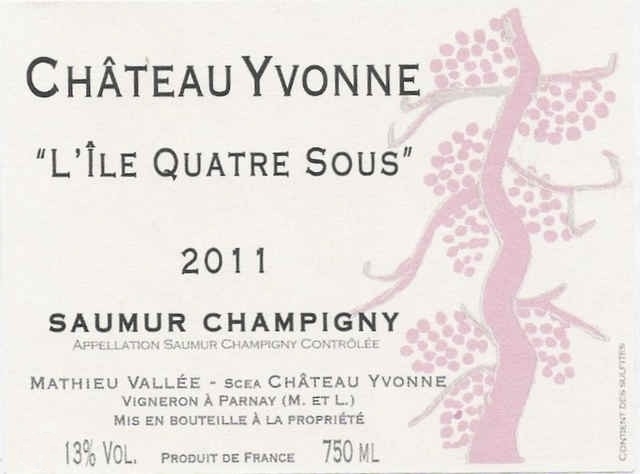 Chateau Yvonne | Coeur Wine Co. 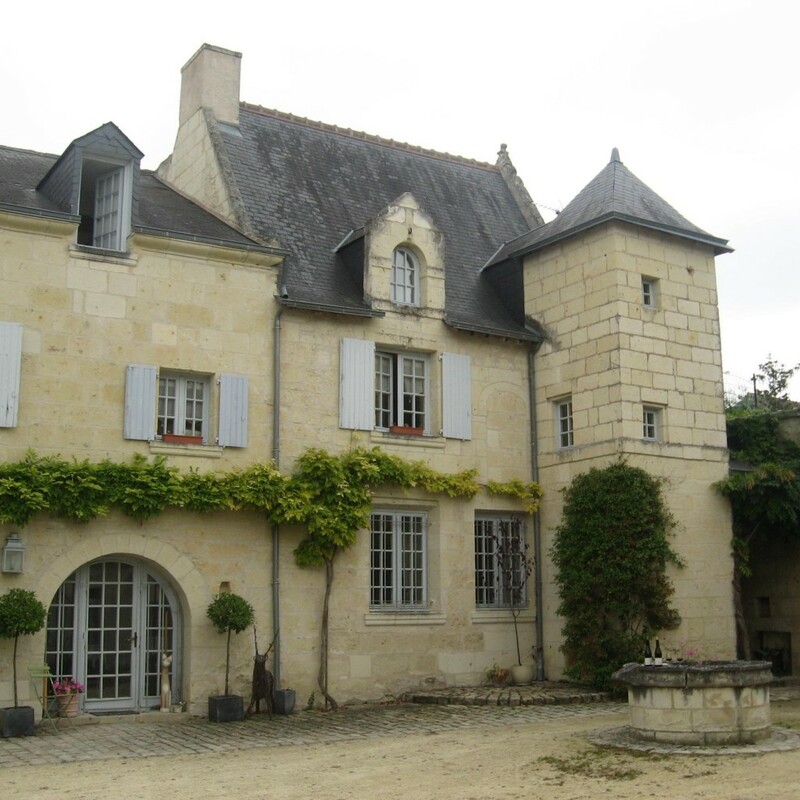 Located in Parnay, Chateau Yvonne has been surrounded by vineyards since the middle ages, when the monks at the Abbaye de Fontevraud brought their influence to the region. 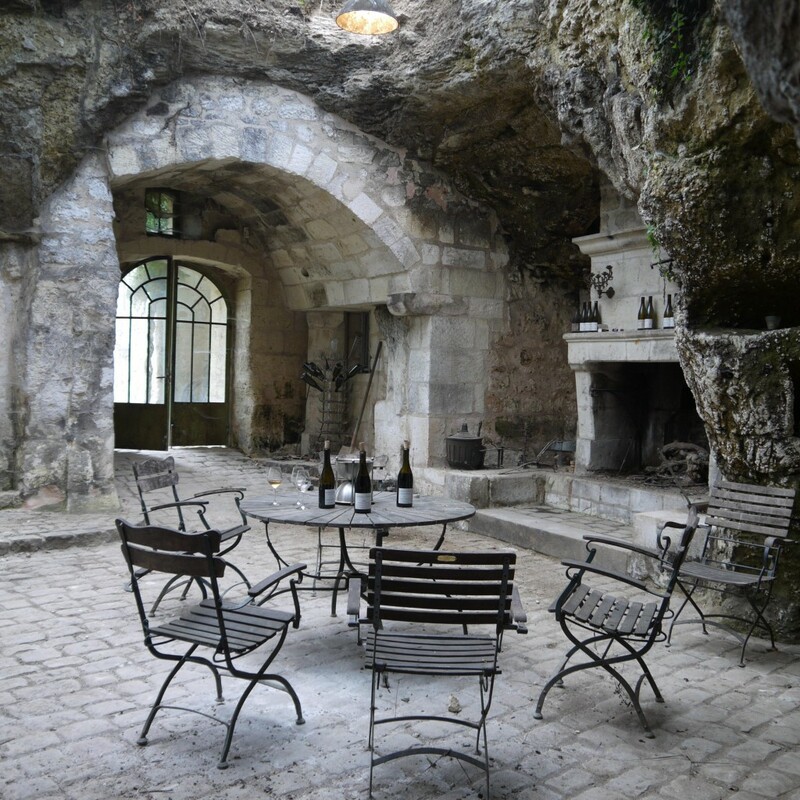 The Chateau dates to the 16th century, but not much is known until 1813, when a local winemaker moved in and began producing wine on site. 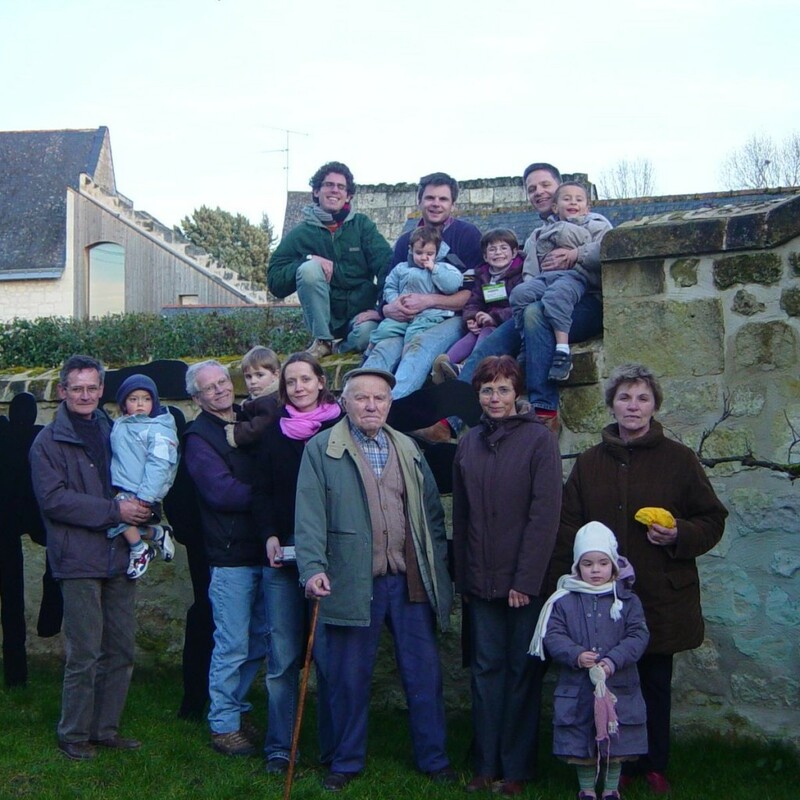 In 1997, Yvonne and Jean-François Lamunière decided to recreate the abandoned vineyard with the help of Françoise Foucault. 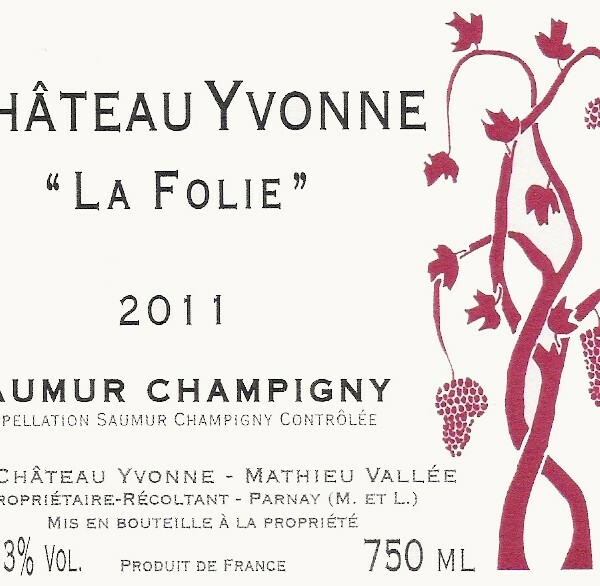 In 2007, Matthieu Vallée took over and decided to keep the name Chateau Yvonne in hommage to the incredible work done by the previous owners. 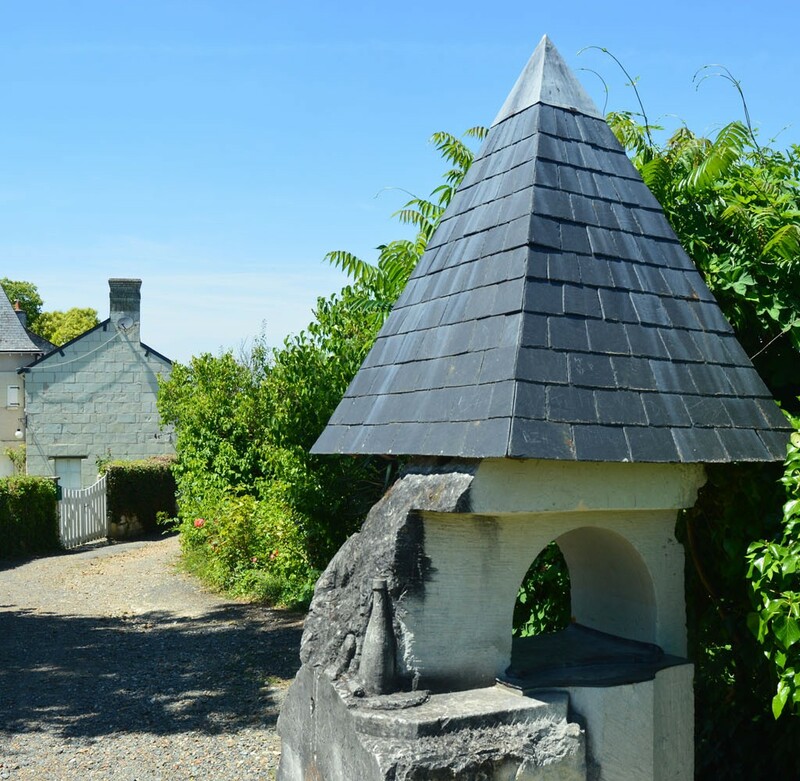 Today the domaine is one of the best producers in Saumur, composed of 3 hectares of Chenin Blanc and 8 hectares of Cabernet Franc, spread out over 28 small plots in three villages. 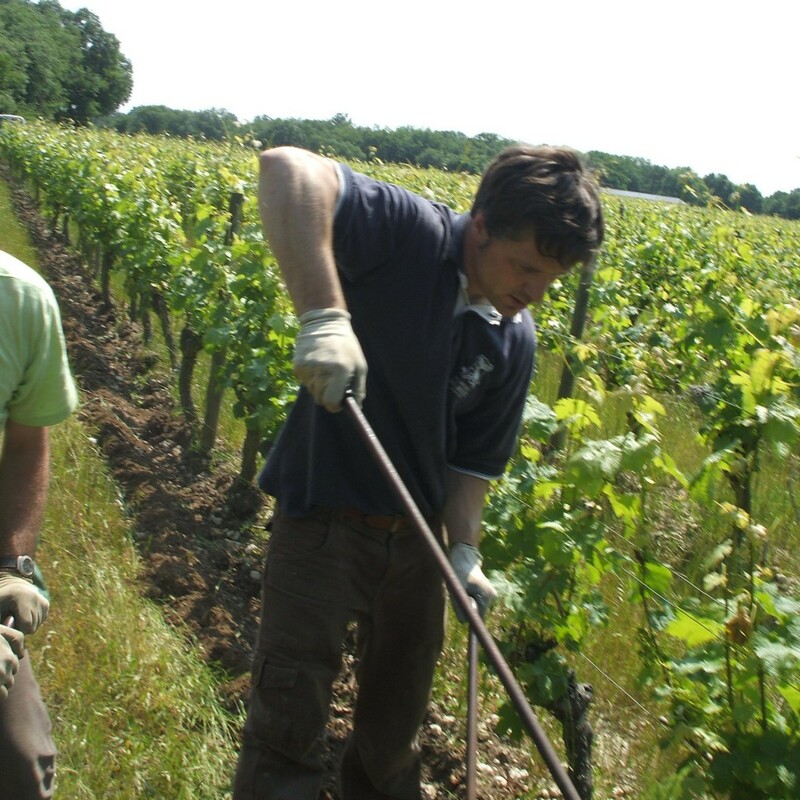 The vineyards have been farmed organically (Ecocert certified) since 1997 and biodynamically since 2012. Yvonne’s production remains extremely low, averaging only 2000 cs annually. 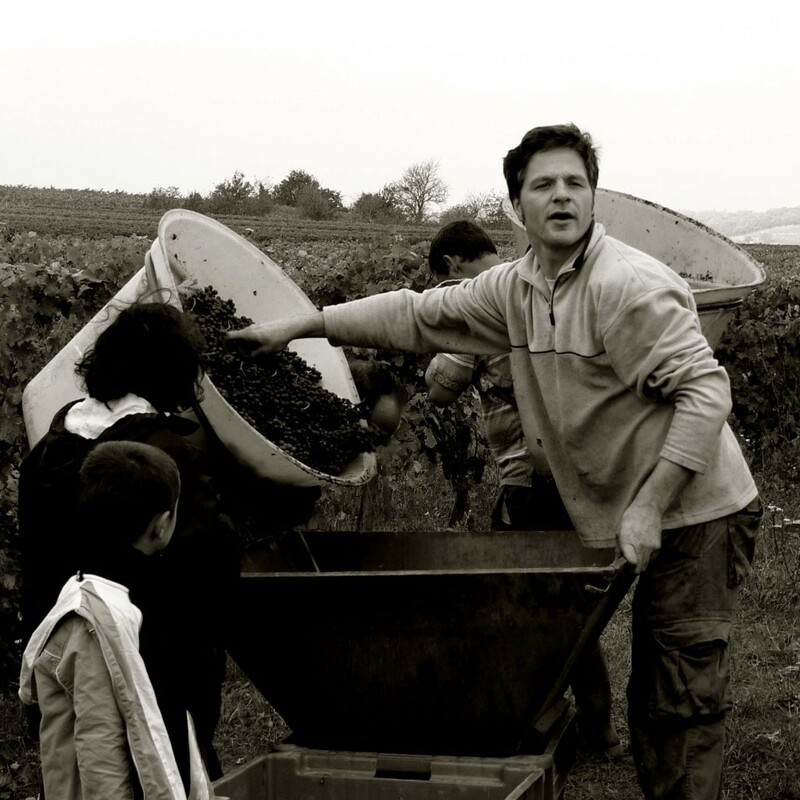 All vineyard work here is done manually, and Matthieu makes the wines with as little manipulation as possible: native yeast fermentation, no additions other than SO2, slow malolactic fermentation, minimal racking, and bottling unfined and unfiltered. 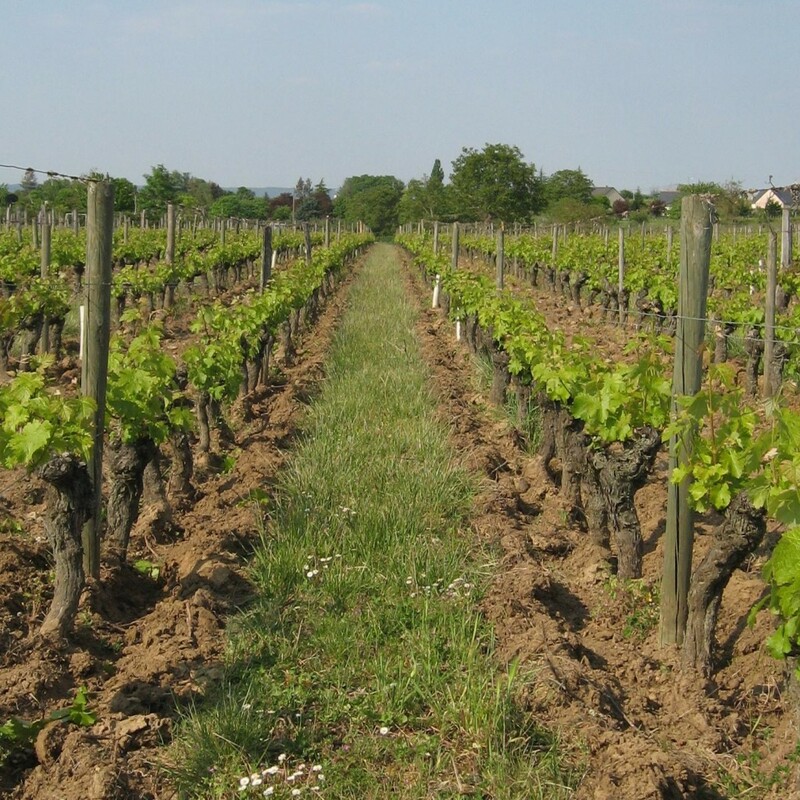 The dominant soils here are limestone and tuffeau stone but outcroppings of gravel and sandy clay give completely different expressions of Cabernet Franc and Chenin Blanc. Biodynamic and certified organic. 100% Chenin Blanc. From 3 hectares of vines ranging from 5 years to over 80 years in age. Clay/limestone soils over tuffeau stone. Hand-harvested in small bins. Native yeast fermentation with no additions in barrel at cool temperatures for 4 months. Malolactic fermentation occurs naturally during aging in oak (less than 20% new barrels for 12 months). Bottled unfined and unfiltered with minimal sulfur. Biodynamic. 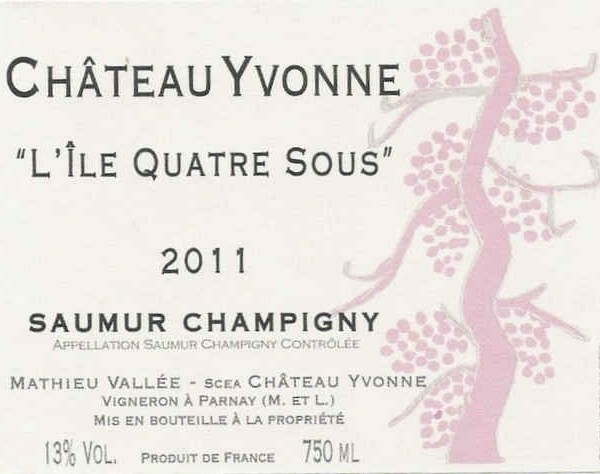 Matthieu has one parcel of Chenin Blanc planted in the “La Cote” area of Saumur. Located 8 kilometers south of Breze and right next to the Loire River, “La Cote” allows Chenin Blanc to develop gorgeous depths of flavor as its terroir of nutrient rich red clay, sand stone and limestone provide exactly what Chenin Blanc needs to achieve full ripeness while maintaining lively acidity. 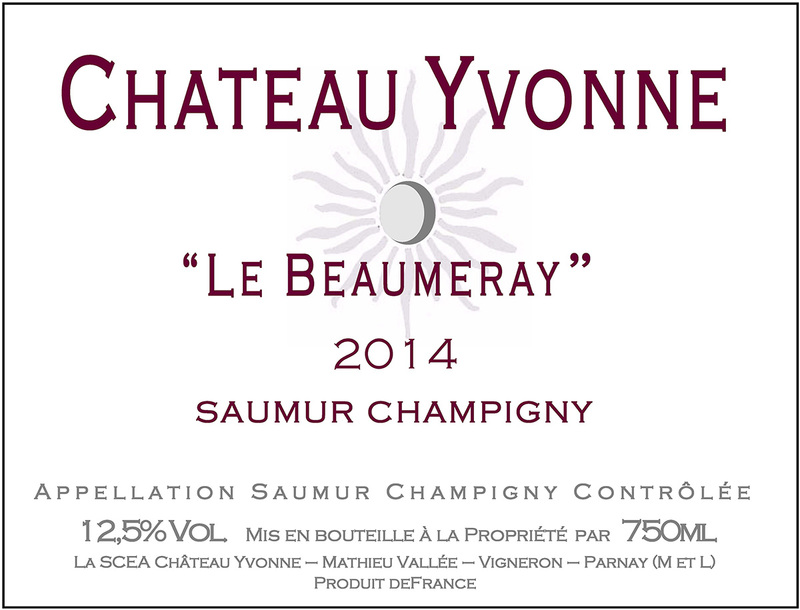 Chateau Yvonne produces 2-3 barrels of Le Gory a year. 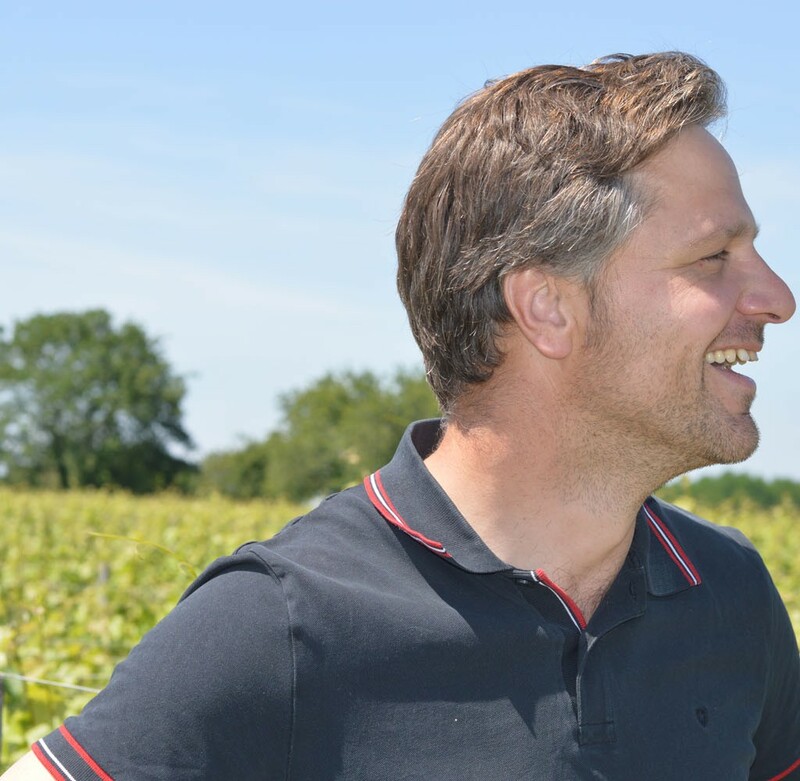 Matthieu purchases new barrels each year for his Le Gory cuvee. Aged a year longer in bottle than their Yvonne Saumur Blanc, this is one of the most complex and beautiful Loire Chenin Blancs you can find. Biodynamically farmed and certified organic. 100% Cabernet Franc. From 2 hectares of vines ranging from 5 to 80 years in age. Clay/limestone soils over tuffeau stone. Hand-harvested in small bins. 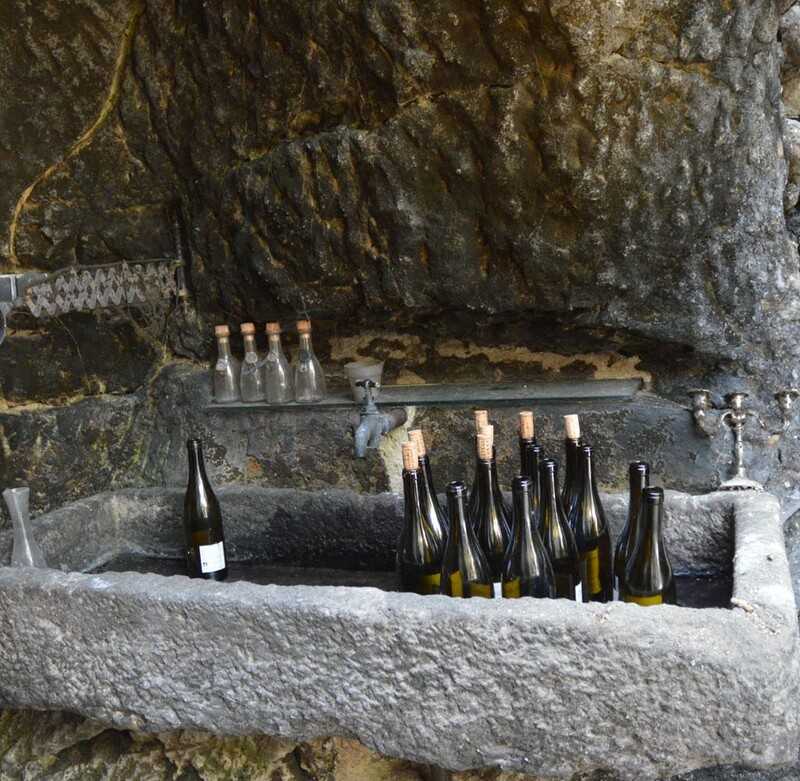 The cold temperature in their caves delays fermentation and gives a natural pre-fermentation maceration. Native yeast fermentation in 38 hl foudres for 4 weeks. 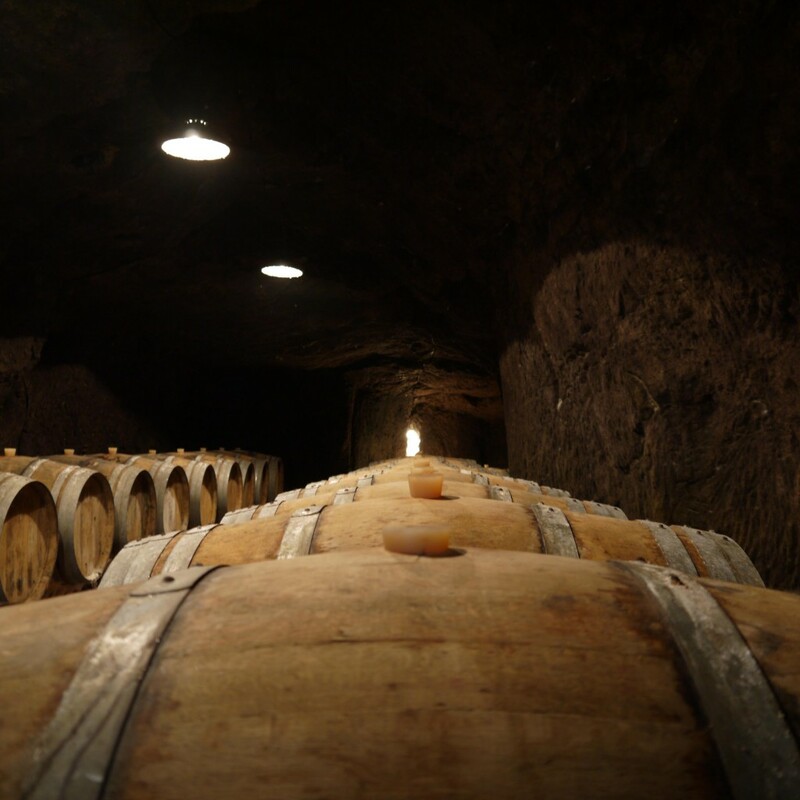 Malolactic fermentation occurs naturally during aging in oak (20% new barrels for 12 months). Bottled unfined and unfiltered. Biodynamic and certified organic. 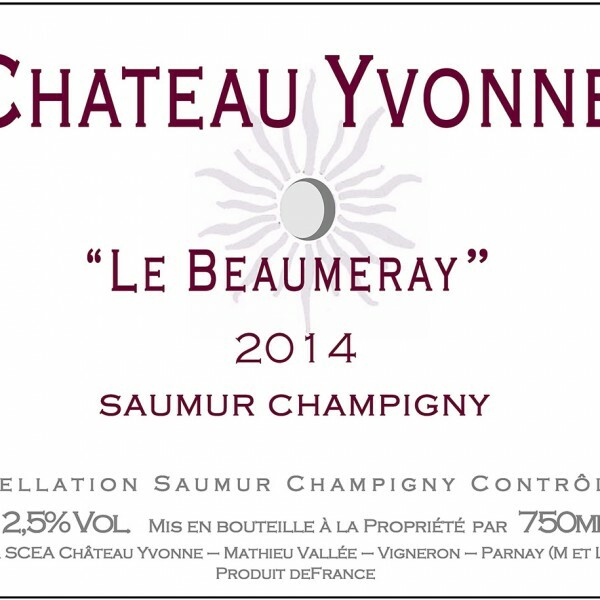 100% Cabernet Franc. 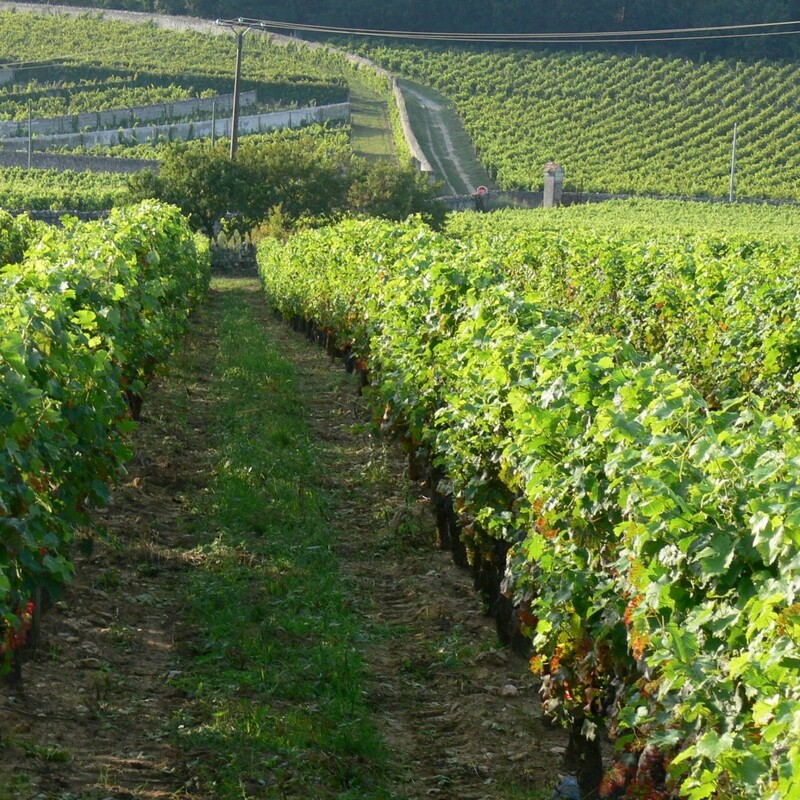 From a one hectare plot of vines ranging from 15 to 50 years in age. Sandy-clay over Turonian-era limestone. Hand-harvested in small bins in the early morning to keep temperatures low. Native yeast fermentation in concrete vats for 3 weeks without pumpovers to limit extraction. Aged for 8 months in concrete vats. Bottled unfined and unfiltered with no additions besides minimal SO2. 500 cs produced. Biodynamically farmed and certified organic. 100% Cabernet Franc. 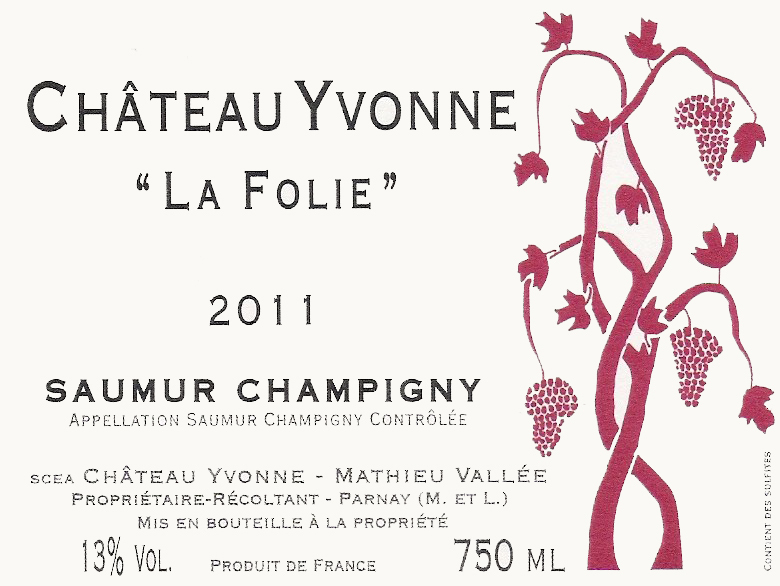 La Folie comes from plots in the village of Champigny itself with vines ranging from 15-50 years in age. Clay and limestone soils. Hand-harvested. Native yeast fermentation with no additions in 50 hl concrete vats for 4 weeks. Aged for 12 months in half 38 hl foudre and half in 4-5 year old barriques. Bottled unfined and unfiltered with minimal sulfur.